Gabriel Patterson is not a city person. He grew up in rural Santa Fe, NM where there were no cell phones and his father was the local pediatrician. From ages 8-13 he was a cowboy. His childhood was spent outdoors, branding and herding for a nearby ranch. His childhood memories include feeding the horses and breaking ice in the bin during the wintertime. He even had “the hat, chaps and knee high boots”—the real deal. So often, People of Color are described as newcomers to the Outdoors. Gabe’s childhood belies the “next gen” moniker. Growing up they always lived in rural areas. His family hiked and went on ski trips together. He also spent a lot of time outdoors putting up fences, planting gardens, and to this day finds hands on work to be incredibly rewarding. Even after his parents divorced his outdoor education continued. There were ski trips with his grandparents in Colorado, horseback riding and ice hockey tournaments with his older brothers. All three boys played on state championship hockey teams. Gabe’s father, a thrill seeker and an avid hang glider, spent 26 years in the Navy. His parents met in Okinawa Japan, married and had twin boys; Patterson’s older siblings. After a near fatal accident, the gliders moved to the garage where they sat unused throughout Patterson’s childhood. But he remembers them all the same along with black and white photos of his Dad playing ice hockey in Colorado Springs. 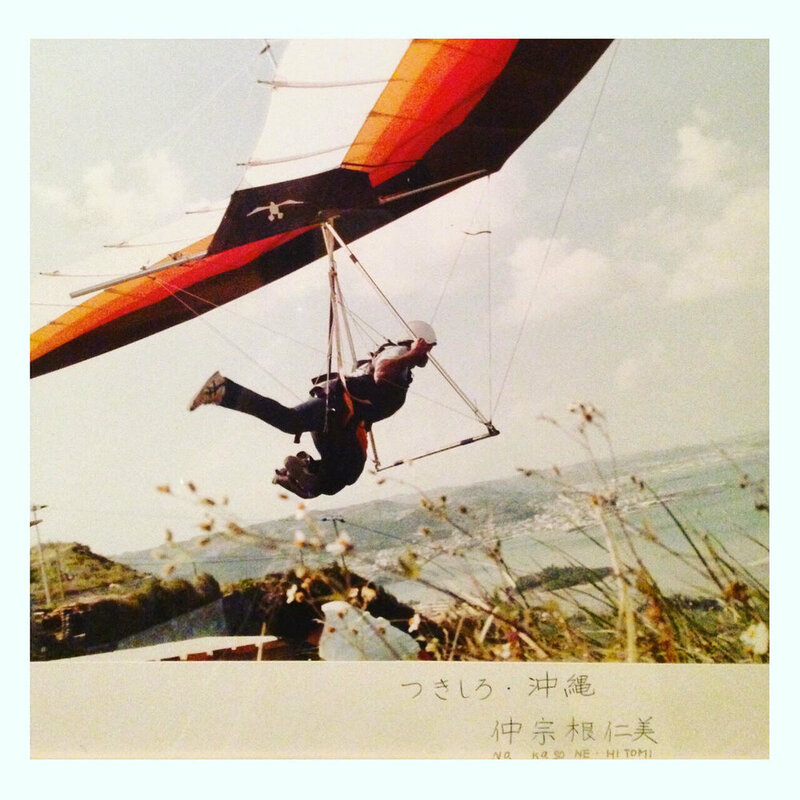 Photograph of his father, Dr. Michael Patterson, an advanced hang gliding pilot, taken in Tsukishiro, Okinawa in 1984. Gabe is African American. He’s 27 years old and a lanky 6’2”. He’s also a PhD Candidate in Agriculture and Environmental Chemistry. He knew from a young age that his interests were perceived by others to be, at worst, not Black enough and, at best, simply going against the grain. At the same time he felt the internal pressure to demonstrate that Black men aren’t defined by the one dimensional, negative portrayals seen in the media. As he grew older and more aware of “being the only one” there was the added pressure of having to ‘prove himself’ each time he entered a predominantly White space” to include “higher education, STEM and in outdoor activities.” The worst part was dealing with his own internalized prejudice and self doubt—or what he calls “growing accustomed to seeing myself through other people’s eyes.” Still, his natural instinct is to shrug off negative experiences and redirect his energy towards his passion for the Outdoors. At the same time, he acknowledges his privileged upbringing. It’s not the 'average Black experience.' It also doesn’t fit the popular narrative that People of Color are new to the Outdoors and must be taught how to be good stewards of the land and their own well being. He credits his Black parents and grandparents who “set the tone for us as advocates of outdoor exploration, stewardship, and "atypical" activities such as skiing, ice hockey and hang gliding.” His story exposes another narrative, one that has been voiced by countless Black and Brown advocates to include Michael Estrada from the Brown Environmentalist: People of Color have always “been outside.” Not every experience mirrors Gabe's of course. Some of our grandparents fished or farmed, swam at segregated beaches, tended community gardens or picked fruit for a living. Gabe’s mom attended Colorado College, a small liberal arts college located in the foothills of the Rocky Mountains. All three boys followed in her footsteps and each fell in love with backcountry sports while living in Colorado. Gabe started climbing in 2009 and he’s been climbing ever since. It was a natural fit. There was something about the shared experience of being outside in the middle of nowhere that appealed to him. As a freshman at Colorado college he met a bunch of other people interested in climbing and they all learned how to sport and trad climb together. His mentors were his peers. To hear him tell it, he got lucky. “Putting each other’s lives in each other’s hands at an early stage in the friendship” led to very strong relationships. His love of climbing doesn’t mean he’s "acting White" or that he's out of touch with traditional Black culture, although Gabe is the first to admit that his own identity is complex. Or maybe it’s what you would expect from a Black kid who grew up rooted in Mexican ranchero culture with a White stepmom and two half Tibetan step siblings. When he talks about one day having his own family Gabe mentions wanting to raise resilient Black kids that defy the status quo. In the same breath he recognizes that the “challenge of the spaces we inhabit are that it’s hard to find other Black people.” The lack of diversity in climbing means that the calculus becomes either climb on the weekends or cultivate a diverse set of friends. The two appear to be mutually exclusive. Or are they? 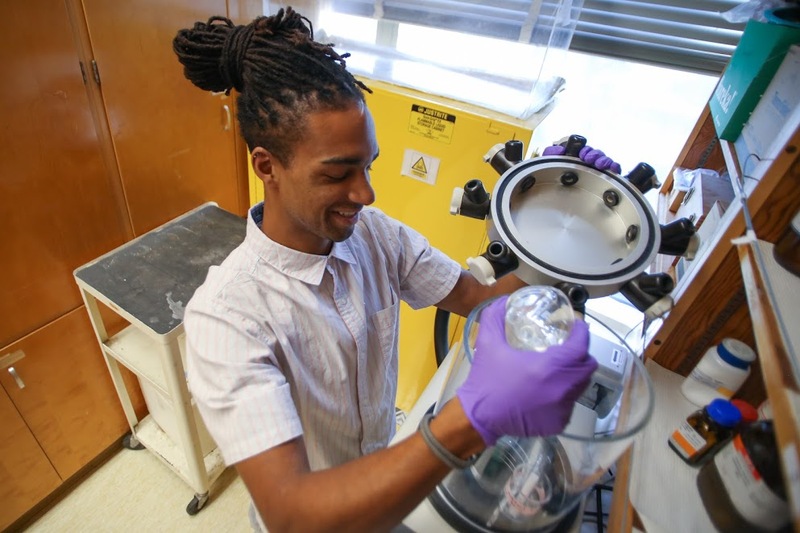 After graduating from college in 2013, Gabe spent three months in Panama interning for the Smithsonian Tropical Research Institute followed by nine months in Salvador Bahia where he immersed himself in Afro Brazilian culture, led tours, and taught English. Living in Panama and Brazil was the first time in his life where he felt like he blended in. It was a valuable experience for someone who grew up in a small town where very few people looked like him. While he was in Brazil, Gabe also worked as an climbing guide. His first guiding experience was in Rio de Janeiro. Because he had never laid eyes on the multi pitch route, he was relying on information from his boss. Things did not go according to plan. The top of the climb required traditional climbing gear to set up an anchor. When his client was unable to send the route, Gabe realized he wasn’t prepared to rappel him down. He also didn’t have a head lamp. After another guide stepped in to help out, they ended up rappelling in the dark with the light from their cell phones. The experience was eye opening. He realized that in undergrad he had left some of the responsibility for guiding up to his friends. They got out fine but it was definitely scary. After that everything else he led was very easy, very basic. Lesson learned. These days his projects are a little closer to home. The majority of his climbing projects are in Bishop, CA and Red Rocks, LV. He’s also working on a 12b/c project in Tahoe. 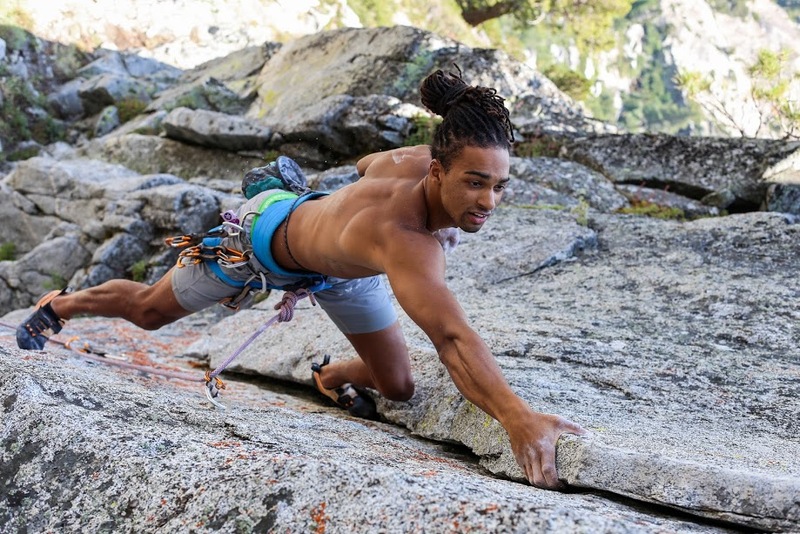 Patterson recently started a POC climbing group called Soul Ascension Crew. The organization hosts climbing nights at Sacramento Pipeworks every second Friday in order to promote diverse groups in climbing, bring in new people and create community and representation. To learn more check them out on Instagram and Facebook. How does he stay motivated? Seeing professional cyclist Justin Williams and his family winning crits, watching Kai Lightner and Melise Edwards inspire the next generation of Black professional climbers. “You’re seeing more and more brown people filling these predominantly white spaces,” says Gabe, and it’s a good thing. Meet Justin Forrest Parks; at 26 years-old he’s a sport climber, a Deuter ambassador, an Outdoor Research grassroots athlete and a Diversify Outdoors coalition member. Injured? Chronic Pain? Try These Tips! I was 13 years old when I suddenly collapsed while I was walking to my science class. I couldn’t walk. I went to several doctors who could not offer any solutions, apart from major surgery. My mom finally took me to a chiropractor who adjusted my back and eased my pain. I found out that I suffered from hip subluxation, which is partial dislocation of the hip out of the socket. Simple movement such as walking or bending over caused my hip to pop out of the joint. For the rest of my life, I would need to see a chiropractor.